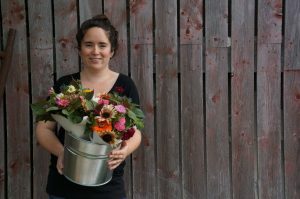 Nestled in Nova Scotia’s Pictou County lies Marshdale Farms, owned and operated by Megan and her husband Erik, where they raise beef cattle and specialty cut flowers. “The flower crop is definitely my end of the operation, I have a background in plant science so I guess you could say I’m a huge plant nerd,” Megan explained. 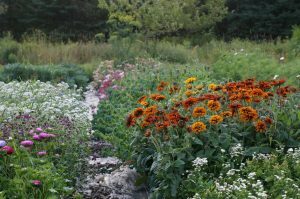 2018 marks the third year for Megan’s flower crop, the flowers are her way of growing the family farms legacy – something that is very important to her. 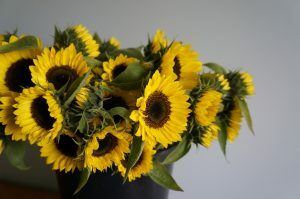 You may wonder why she decided to start growing flowers, Megan wanted to find a niche that would use her education and creativity and fill a market gap in a community that is very locally minded and fresh cut flowers seemed to be the best choice to fulfill those needs. 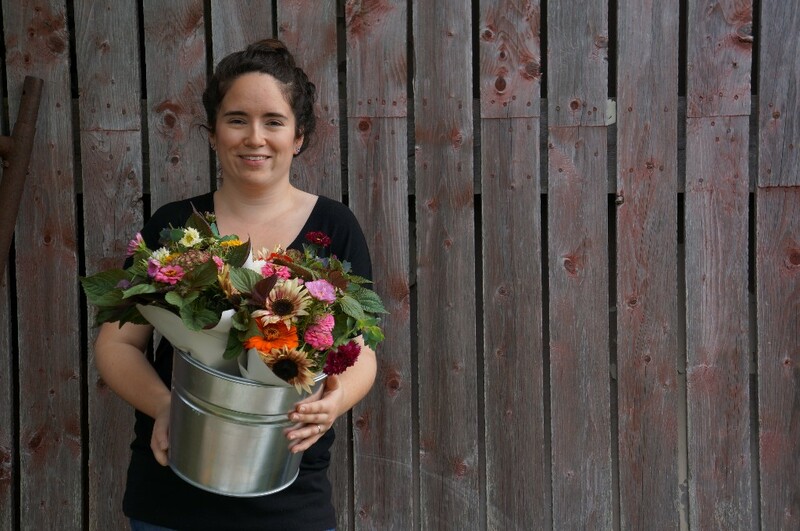 According to Megan, many people don’t know that Nova Scotia is home to a growing number of small flower farms. She says this is true for all of Canada. Did you know: This year Open Farm Day falls during the very first Canadian Flowers Week, which celebrates the fantastic flowers grown in Canada and the people who work with them! Curious about what Megan’s favourite part of Open Farm Day is?